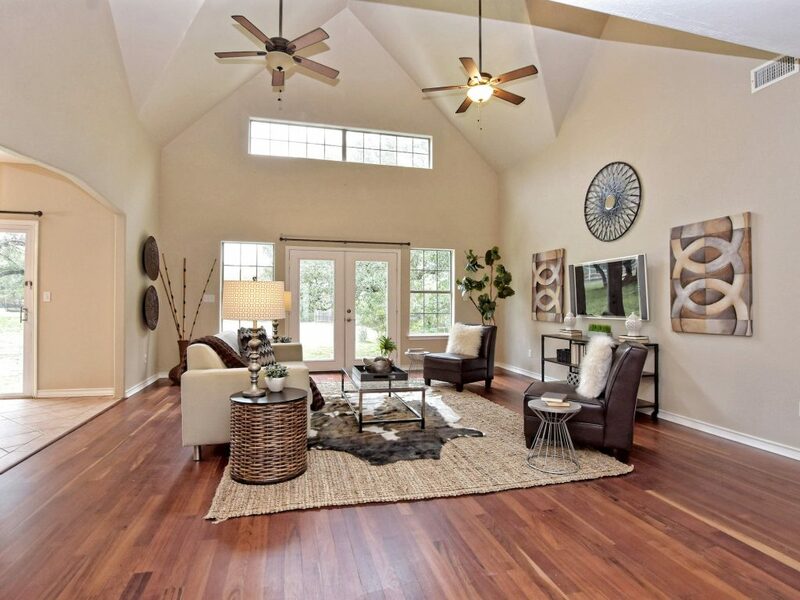 Living room with soaring cathedral ceiling and views of the wooded backyard. 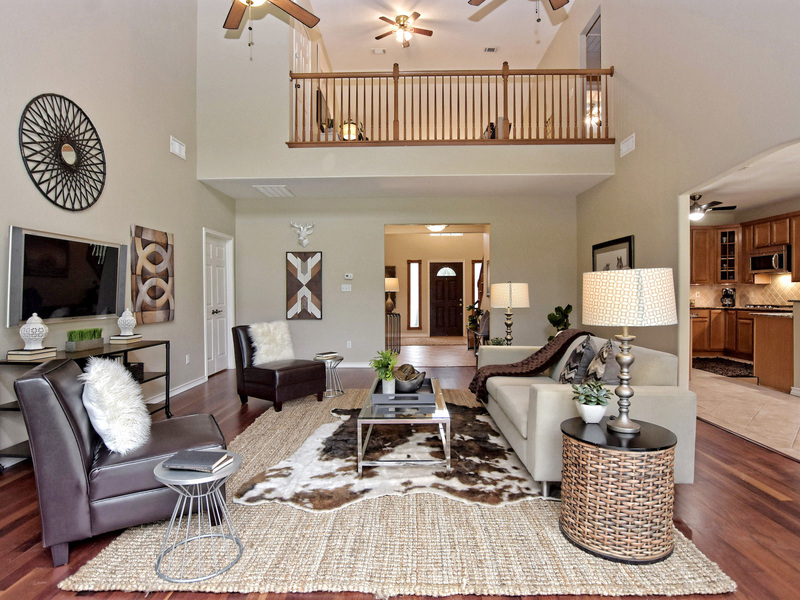 If your dream is to live in a parklike setting your search is over at 10901 West Cave Blvd. 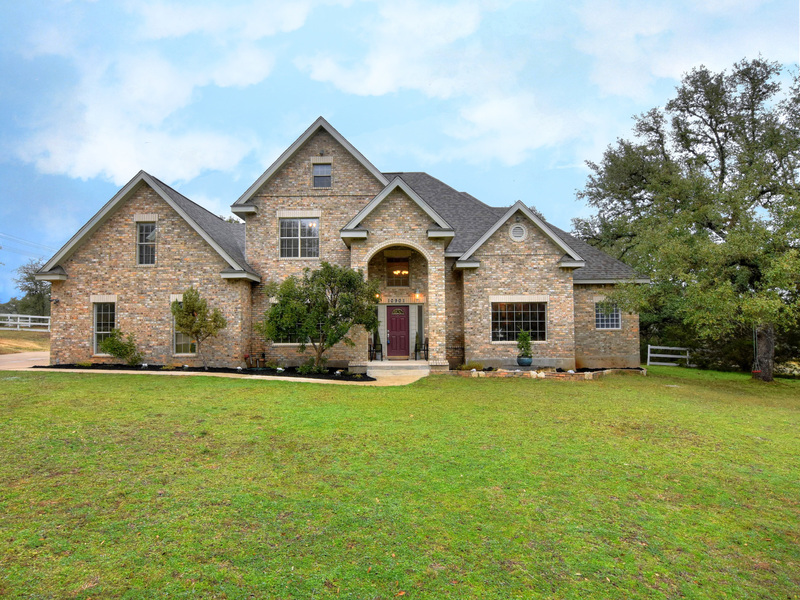 This gorgeous home on 1.4 plus acres (per tax records) in West Cave Estates has not one but several heritage oaks and forest of trees in the backyard. 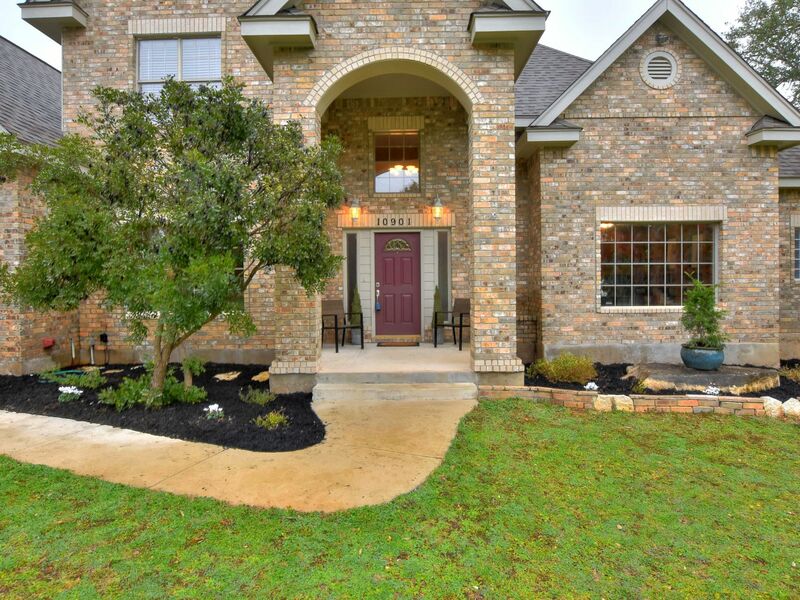 Located on a corner lot of this beautiful hill country community this home welcomes you with it’s comfortable elegance. Meander down the driveway to the extended 2 car garage with small workshop. 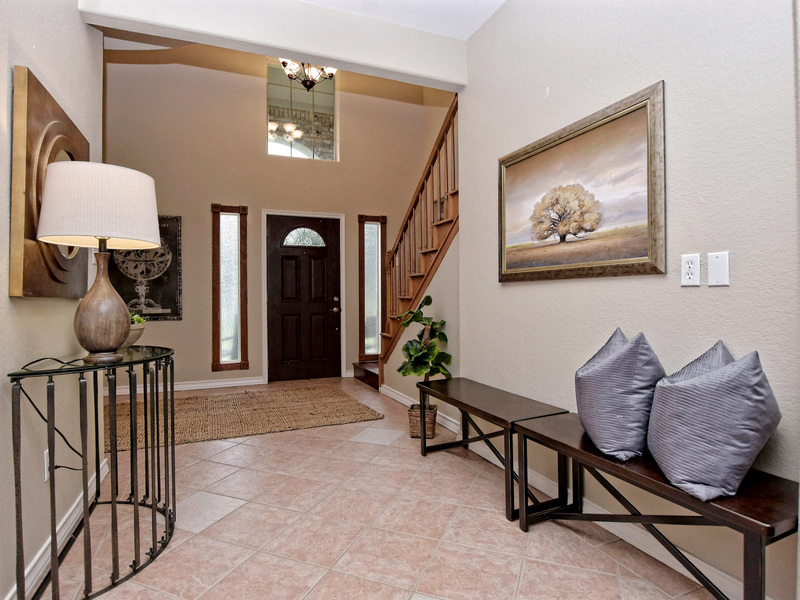 As you step into this lovely home the entry boasts of high ceilings. 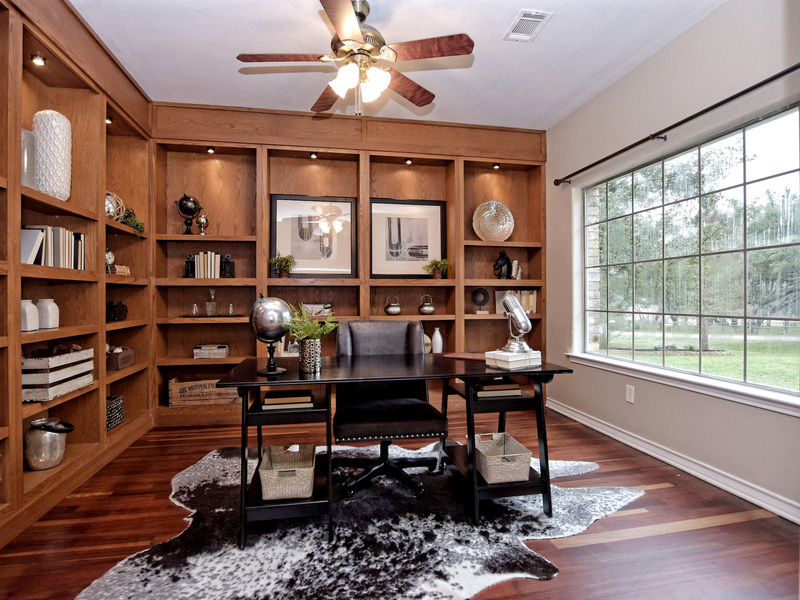 On your right a well appointed study is lined with built-ins perfect for showing off art, trophies or an amazing book collection. 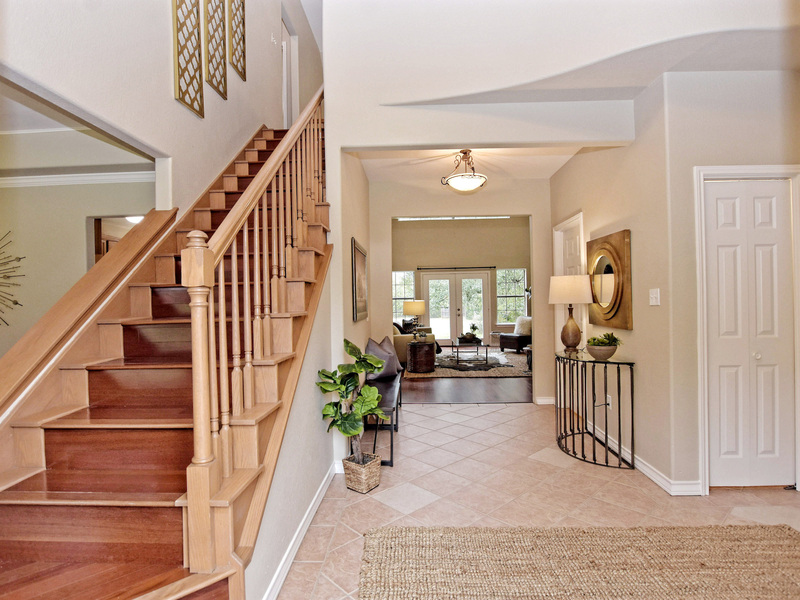 The grand staircase is to your left and just over the stairs you get a peek into the formal dining room. 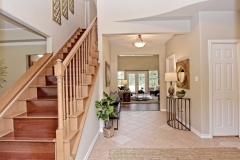 Through the entry there is an open living room with soaring cathedral ceilings. The rooms looks out on to the gorgeous backyard and forest line that acts as a natural privacy fence. The master bedroom can be found to your right with large windows that take advantage of the stunning backyard views. 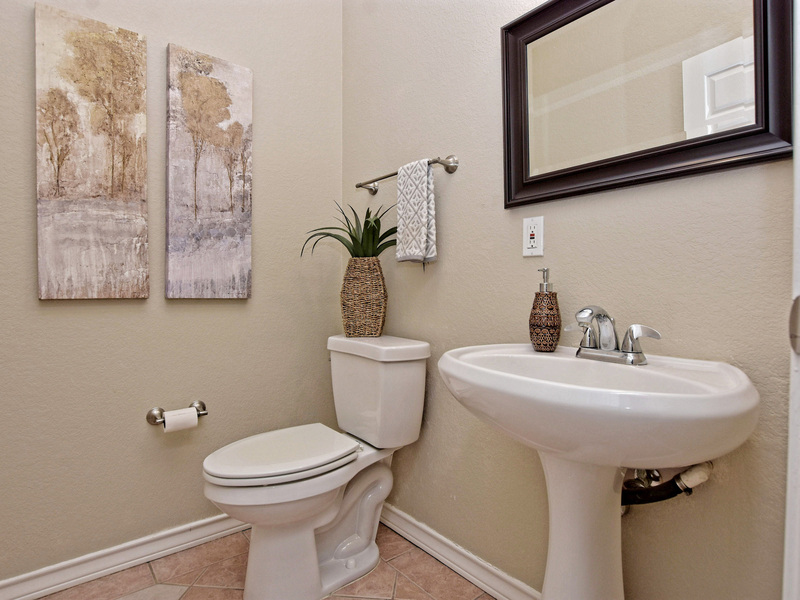 The master bathroom has a walk-in shower and a spa-like tub, plus a great spot to sit and do your make-up and hair. Perfect place to relax in a swing or have a picnic. 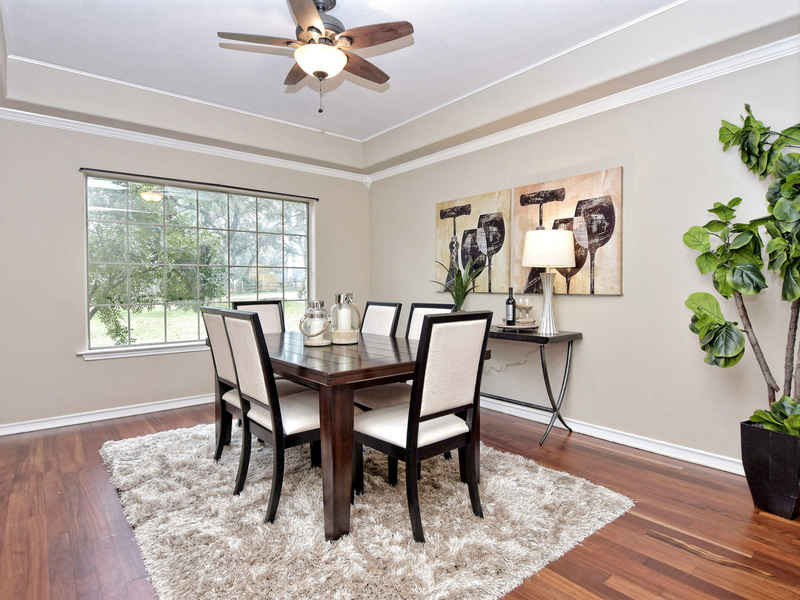 As you walk to the left of the living room you’ll walk into the kitchen dining nook and kitchen. 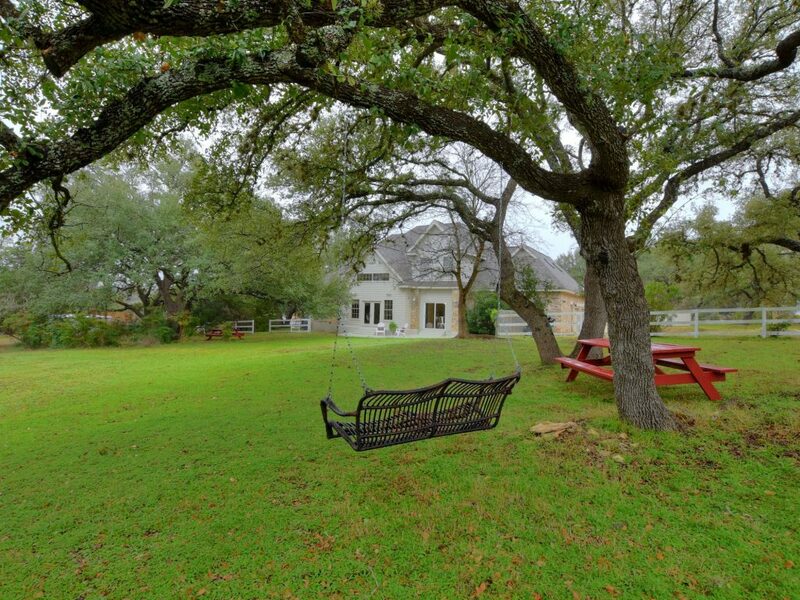 While working in the kitchen you are able to look out at the natural setting of the vast backyard and all that nature has to offer in the hill country. There are granite counter tops and stainless steel appliances. Plus there is a breakfast bar, great for eating or hanging with friends and family. The kitchen connects to the laundry area and a secondary, secret stairwell wraps up the back of the house to the 4th bedroom or guest suite. 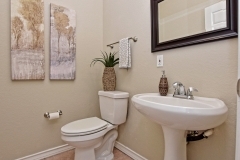 The remaindering 3 bedrooms are located upstairs with a loft space and walk-in attic storage space. 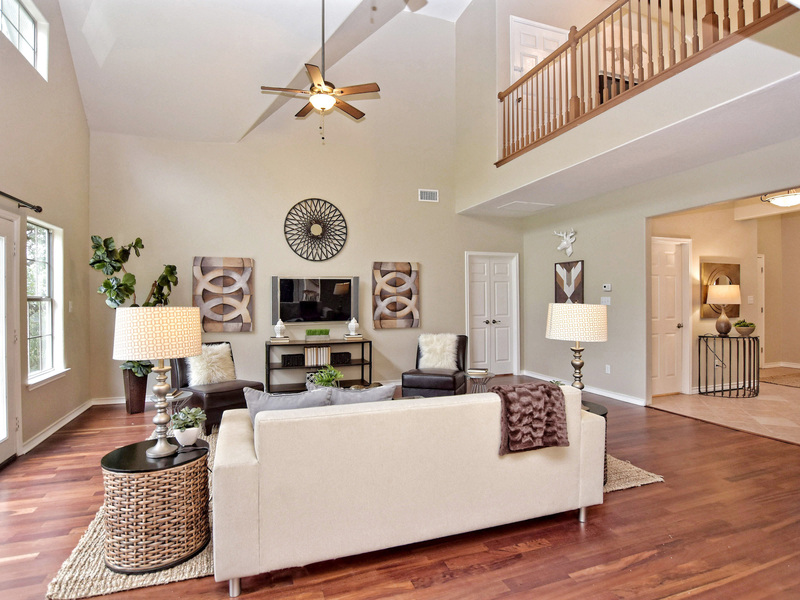 This home is a wonderful retreat and has so much to offer! Please contact me with any questions or if you would like to view this picturesque estate.